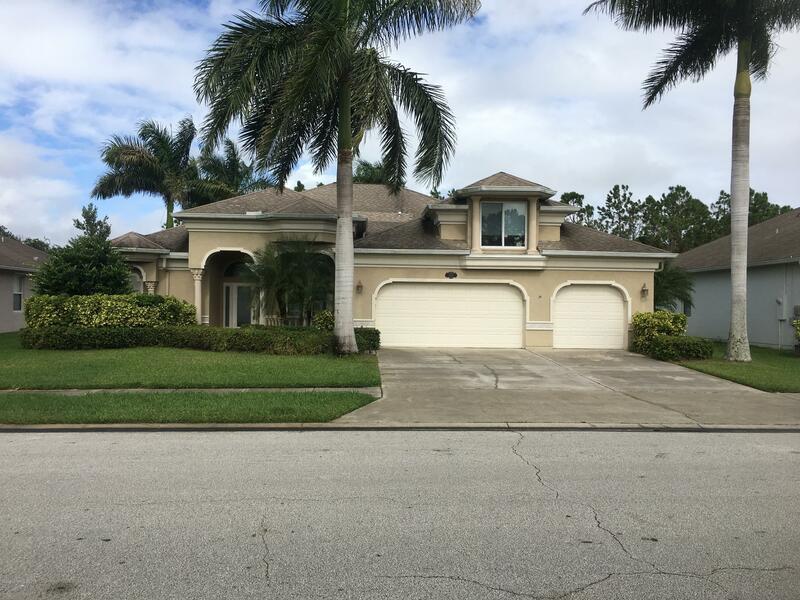 BEAUTIFUL EXECUTIVE STYLE HUGE 4 BEDROOM 3 BATH 3 CAR GARAGE POOL HOME. Wonderful layout of this home with separate Bedroom and Bath that could be a nice living quarters for in-laws or Family friends.Beautiful Custom Cabinets in the Kitchen with Spectacular Granite Counter tops,under counter lighting,with all new Kitchen appliances and crown molding invite the Chef of the family.In the Bonus room above the garage would make a very large 5th bedroom with low maintenance flooring.Large sreened in lanai with pool that has a water fall and fountains. The home has a very private white vinyl fence and a preserve behind you that can not be built on.The Backyard is equipped with a log cabin play house.COMES WITH 6 MONTH'S FREE HIGH SPEED INTERNET AND CABLE TV PACKAGE AND NEW RING VIDEO DOORBELL.